The Chronic Dev Team have released (site currently down) the Mac and Windows versions of their latest iOS 4.2.1 ‘greenpois0n’ jailbreak. The Linux version is still listed as “Coming Soon”. 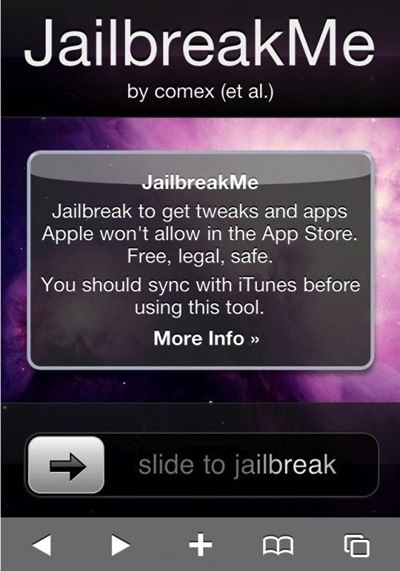 Jailbreak users are warned to keep their devices on iOS 4.2.1 when version 4.3 is released later in the week, corresponding with the announcement of the Verizon iPhone, as the exploit used in this jailbreak has already been patched. iOS 4.3 is expected to bring a number of bug fixes, including the addition of “personal hotspot” functionality which will allow users to share their iPhone’s 3G connection with other computers and devices over Wifi. [Updated 5/2/2011] Windows version released.